Data Divided Against Itself Cannot Stand! - RingLead, Inc.
President Abraham Lincoln undoubtedly understood the importance of unity. However, many businesses around the world fail to see the significant effects that a divided database has on their organization. With the exponential production of data compounding in trillions upon trillions, many organizations are plagued with dirty data and the destruction it causes. When your database has been infiltrated with erroneous data, you are at risk of wasting sales and marketing efforts, and jeopardizing brand reputation with conflicting messages as a result of siloed departments and data, triggering unwanted workflows, and attempts to analyze data you can’t make sense of. All this results in a loss of substantial time and money, as well as a fractured organization. Ensure a unified approach with clean, accurate and integrated data by syncing your CRM and Marketing Automation Platforms to fuel your sales and marketing teams. With RingLead DMS Cleanse and Duplicate Prevention, you can eliminate duplicate records and prevent dirty data from creeping into your B2B database, in real time. 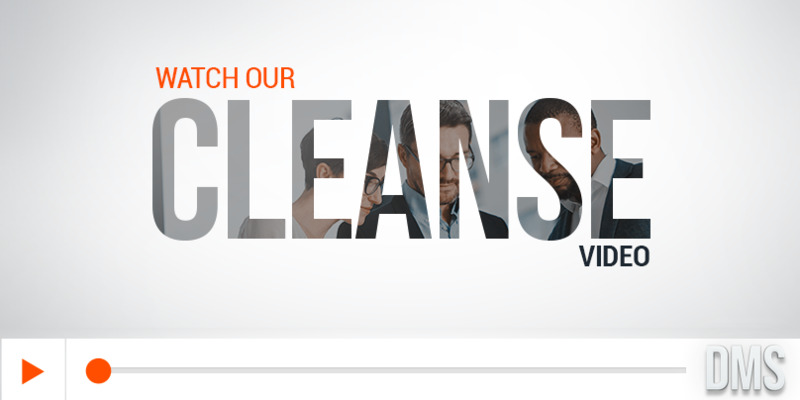 DMS Cleanse allows you to automate deduplication tasks to run hourly, daily, weekly or monthly to ensure your database is clean of duplicates, in a hassle free way. With RingLead’s new Mass Update and Mass Delete capabilities, you can now make data changes to your entire CRM and delete records in bulk, with the simple click of a button. These features will help you drastically decrease the amount of time it normally takes to extract, translate and load (ETL) records in Salesforce, and eliminate erroneous data from your database, ultimately preventing bad leads from reaching your sales reps and marketing campaigns. Find out just how many duplicate records you have in your CRM with by completing a FREE data analysis with RingLead Dupe Dive by clicking here. RingLead DMS Cleanse and Duplicate Prevention allows you to enforce data quality standards throughout your entire organization by automatically merging leads, contacts, accounts, and custom objects, to create a strong and consolidated database that remains campaign ready at all times. Better data also means better lead scoring, better segmentation and better routing, which can lead to higher conversion rates, increased revenue and peace of mind.